Is there any AFOL in the Bristol area that want to start a kind of group? I mean that we can exchange mobile numbers and text each other if they come across any Lego bargains. I'm always out and about with my son and see deals or sale items and although i can't always buy them i think that someone out there might want the heads up. This may all ready be happening but just though it would be a good idea so we don't miss out on deals. Please ignore if a stupid idea. I'm newish to this forum, but started to collect Lego about 2years ago. Im in Chippenham, but work in bath. So have 2 areas covered. Would be a good idea if someone could start one? Am willing to start it i'm sure i can have group messaging thing on my phone. If you want to join then send me details and i'll see what i can do. I was thinking that if i was out and about and saw say a whitecap bay set for 35quid (like the other day) i could text the group and let them know when it is and others could do the same. Just sent you a PM, which area of Bristol do you shop? Depends where i am. Got a 4year old so get about all over the place. Local supermarket is eastgate tesco. Where about are you? What big stores are near you? Don't know whitchurch that well. It starts on 26th feb, I have 2 shopping complex with tesco and tesco home, TRU and other shops. The car boot is dead opposite my house. I mainly collect city and will start on the mini figs soon. Coolies Will be going. forgot that imperial park is there i got friends near there. Will pm all when at work with Mob number. Would be very useful. Anyone good with computers that can set up a Bristol trade group? it would be good to do local trades to save on postage. @mayberts, is there a simple way of setting up a internet group where we can list sets we have that are available to trade? thanks. It depends on what you have in mind, we could use a facebook group that would be the easiest way of doing it. something like an online Excel sheet that doesn't have to be downloaded/uploaded everytime we want to check availability. I'm not a facebooker but have signed up to Google plus (havent used it much though). 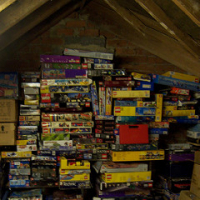 ok, so I think the best thing would be to have our own site, could call it BLT (bristol lego trading). shouldn't take to long to setup, let me know what you think. Hi gloucester road totally toys have the following on sale. 4195 99.99 not on sale but cheaper than I've seen. End of message hope this helps. Glad i could be of assistance. Really want the Mill as well but don't have the money yet. If you message me a mobile and an email i can add you. @teamladd your design skill will come in handy, would you be able to make a logo? @mayberts sure. What sort of thing should we have? Or shall I come up with a few ideas? @teamladd well I was thinking of calling it BLT (bristol lego trading) so something around that or you can come up with a few ideas and we'll see what everyone thinks. i think @johnsbricks has the right idea, I'm sure i can write some PHP code to do that. just to note, you could possibly get 4195 for £60 or so at Tesco.com, it is already discounted and there is a £10 voucher code too...plus quidco means its about 40% off rrp. Ok, here is a very rough and quick 5 minute idea I came up with. Dont get much of a lunch break at work as so busy. We can change characters, colours etc. Keep Superman and Darth Vader there cool. Lol. So how many people for the group ATM? @Hob - I recommend that you now take this discussion to PM but that we leave the thread open so future Bristolites can still find you. Does that work for you? No problems. Anyone else wanna join PM with details and i'll mesage you. Just checking you know that you can use group PMs, by going through Inbox - 'Create a new conversation and typing as many recipients as you like. Are there any other Brsitol AFOL that want to be added to the group? I added someone else today and said i'd bump this topic up so people can see it again. Just reply or PM me and we can go from there. 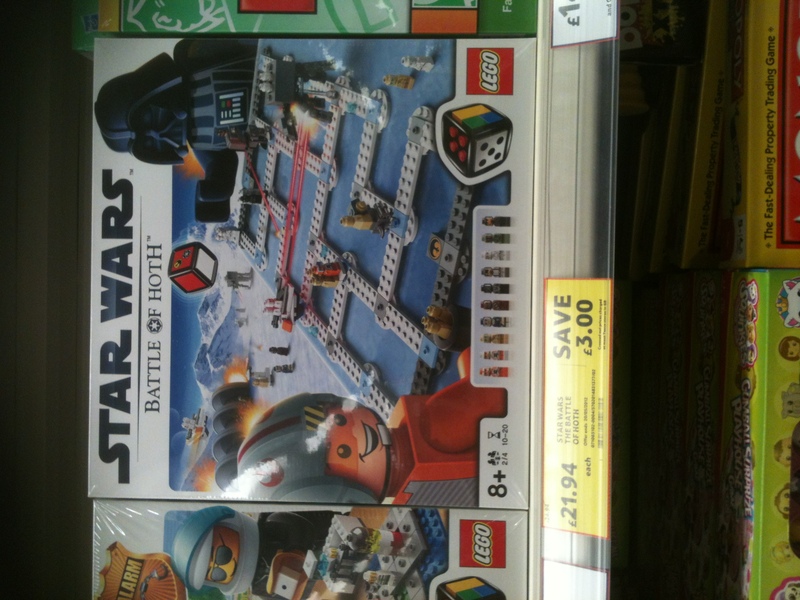 Hi @Hob good to see you at Smyths I went to Tesco afterwards and spotted this. not too bad but still too much for me at the moment will wait for the sainsbury's half price toy sale or for ASDA tro mark it down to 2.50 like they did with the Harry Potter game. Good to talk to you also.